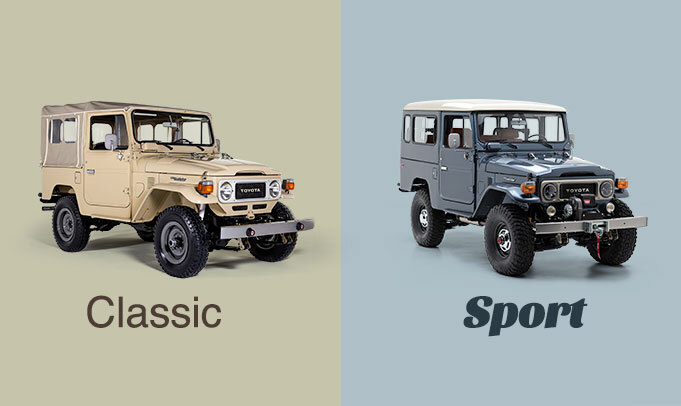 The FJ40 is the hallmark of the Land Cruiser 40 Series and was produced from 1960 to 1984. Its timeless good looks remained mostly unchanged throughout its 24-year production history. Under the hood, you'll find the legendary F or 2F engine — both lauded for their reliability and capability. The FJ40 was originally available with 4-wheel drive, folding jump seats in the back, and the option of a hard or soft top.